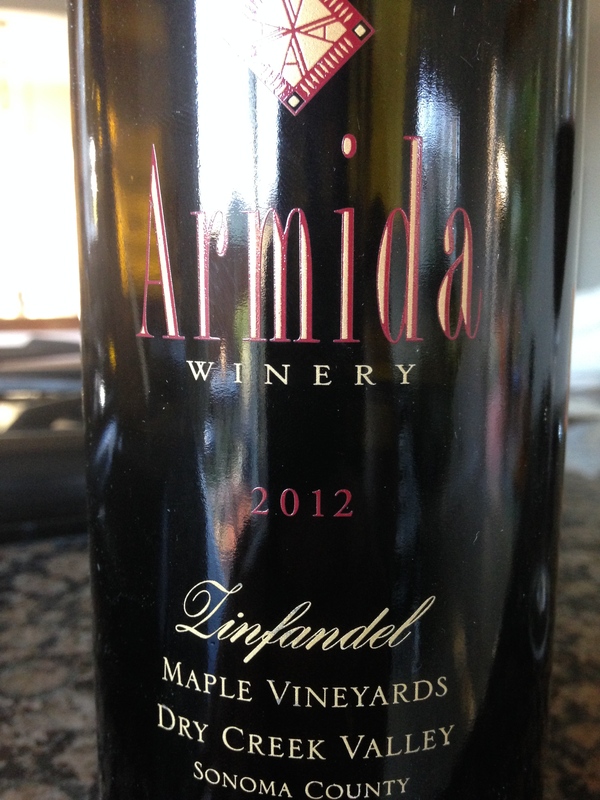 I am becoming a fan of Armida’s wines. I wrote about their other offerings previously with the Poizin and my first experience with the Maple Creek Zin 2009. The style is not overly jammy, nor heavy but relies on old vines for complexity and depth. On pouring this rather young wine I noted that it was dark purple in hue with hints of cloves intertwined with plums on the nose. Easy drinking yet powerful with a lithe tannic backbone and entrenched acidity. The 14.9 % alcohol was well hidden but could sneak up on the unsuspecting. As the wine evolved we got a dark core of black fruits with plums on the secondary and lithe hints of chocolate and bramble bush. A nice depth of different nuances made this a very good wine indeed. I believe it can be found for about $35 and I’m going with 91 points, making this a solid 3 star effort in my book. We drank it before a dinner of fresh caught Salmon, but I would go with any red meats, perhaps some olives and tapenade would suffice. Salut…. An enticing review of a Sonoma County wine.